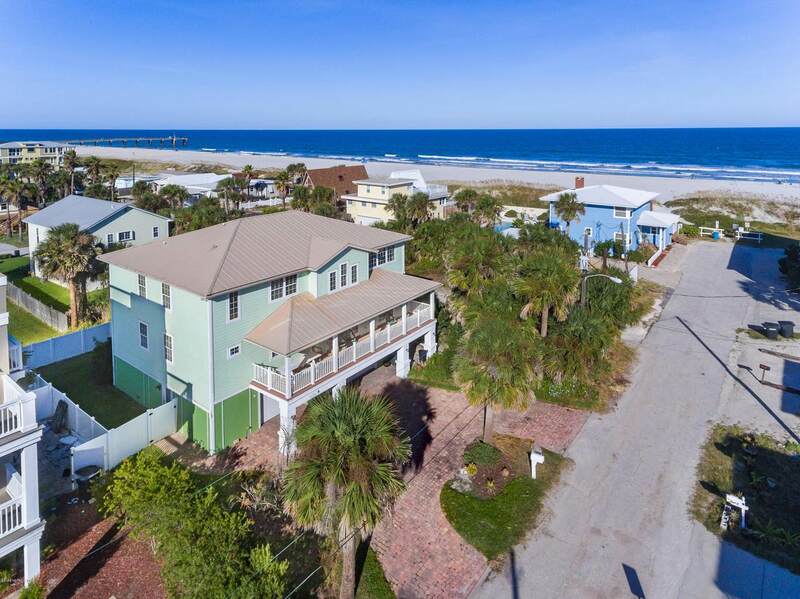 Stunning Ocean Side home in the heart of St. Augustine Beach! 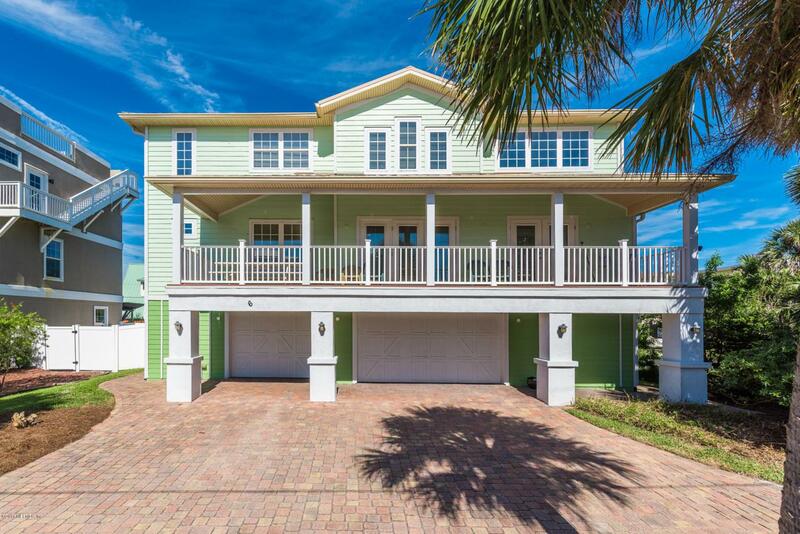 This custom ocean view home is just steps from the sand offering a huge 3 car garage and elevator! 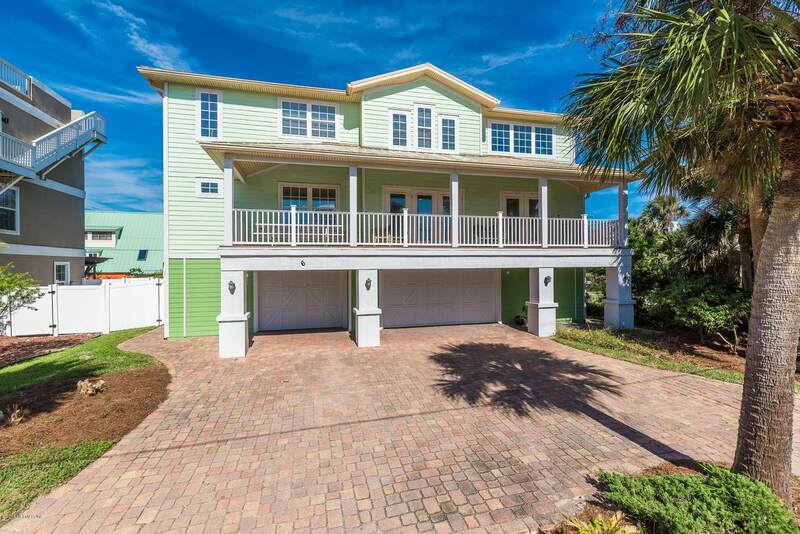 This 4BR/3.5BA home is being sold fully furnished offers a great short term rental income. Brazilian cherry floors with inlays, decorative niches, coffered ceilings in dining room, and tons of windows! Soaring 20' ceilings in the living room allow you to stretch out with friends and family flanked by french doors to the covered porch.Expecting an impressive kitchen? You will disappointed: granite counters, high end white cabinets, in wall oven, decorative tile back splash, center prep island, SS appliances with ice maker, wine fridge and seating! 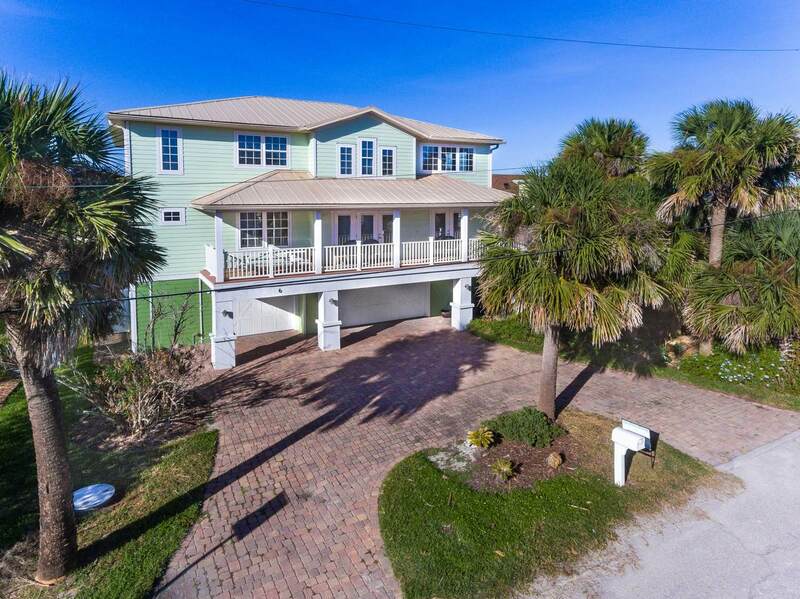 Ocean views and on shore breezes are to be enjoyed from the 40X9 front porch with space for meals, gatherings or relax on the hammock. Master retreat easily holds a king size bed, california closet system, jacuzzi tub, dual vanities with granite tops and don't miss the rainfall walk in shower! The third floor boasts 3 bedrooms/2 baths, ocean views, loft area serves as a living room with ocean views and walled built-ins. Plenty of natural light, 2 laundry rooms, tons of storage. Paver drive and walkway to the private outside shower, FL cabbage palms trees and a fenced backyard ready for a pool or access from the rear alleyway. Situated on the non driving section of the beach. This is a turn key move in ready property. Currently a short term rental with great history.